Sam & I watched live coverage on the computer of the launch of a United Launch Alliance Atlas V rocket lifting off from Vandenberg Air Force Base in California at 11:30 a.m. PDT (2:30 p.m. EDT) on 13 August 2014. This commercial Atlas carried DigitalGlobe’s Earth-imaging WorldView-3 satellite into polar orbit. Unlike launches from Cape Canaveral, which can only go for safety reasons in easterly directions due to population centers up and down the coast, launches from the peninsula Vandenberg sits on allows rockets a clear shot south over open water, over the Pacific, and, eventually, over the Poles. In a polar orbit the entire planet revolves underneath a satellite and no place on Earth can escape the satellite from eventually passing overhead. Interestingly, some rockets launching from Vandenberg have to hold on to their boosters a little longer before jettisoning them to travel clear of all the offshore oil platforms. 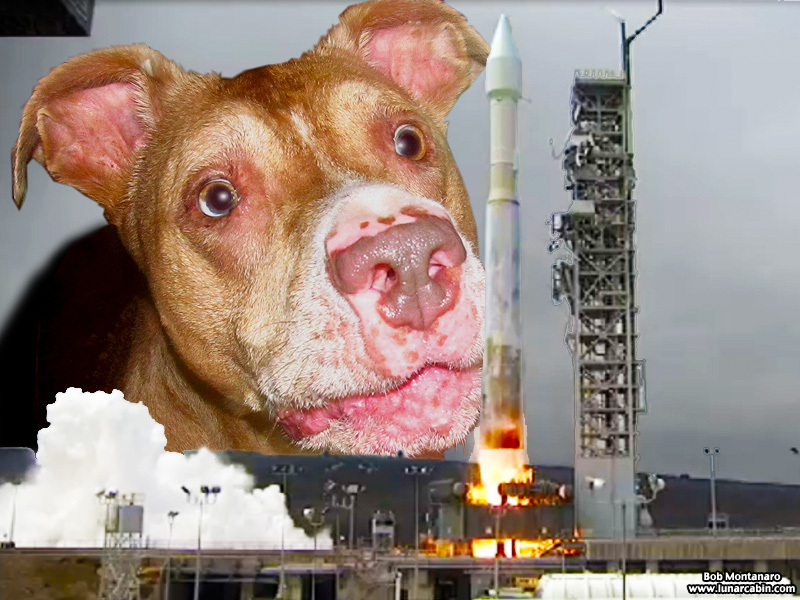 On a side note, Sam treats the rocket launches he goes to here in Florida like he deals with thunder and lightning, a lot of growling and barking till the rumbling noise passes.